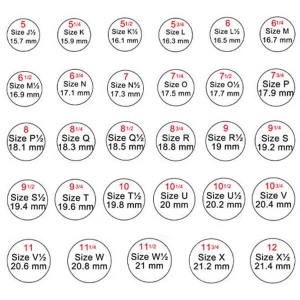 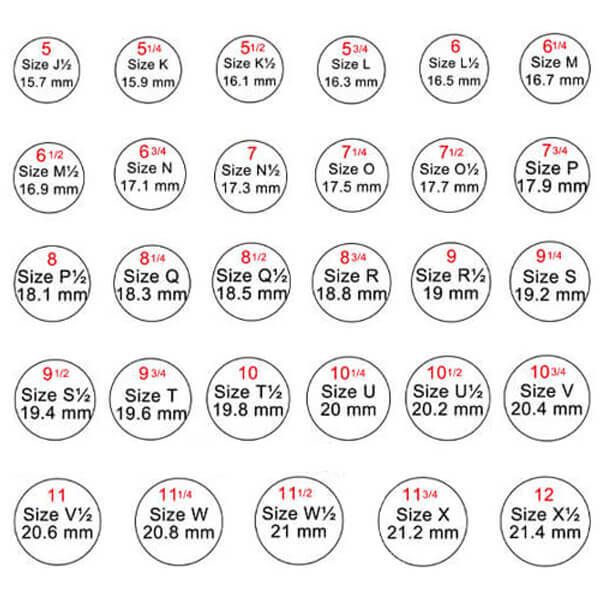 Be part of the latest fashion trend with this Personalized Round CZ Monogram Ring - Carefully crafted, this ring is the perfect accessory to any outfit, smart or casual. 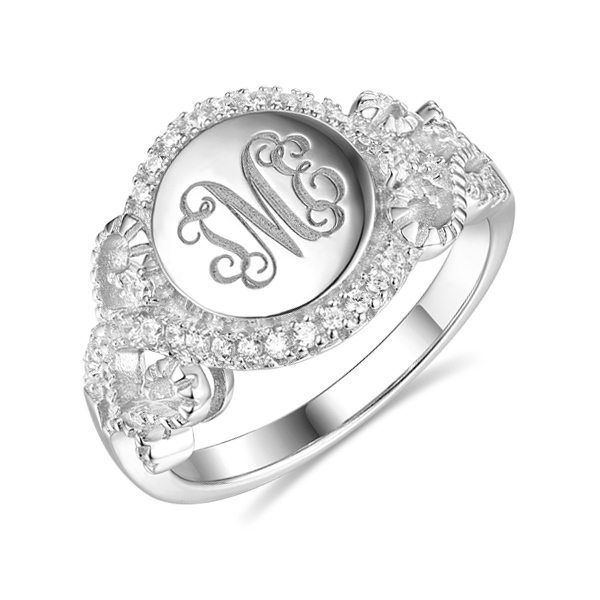 Feature your loved one's initials to make it the perfect gift. 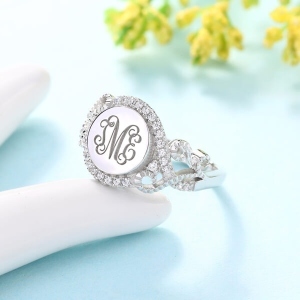 Your mother, girlfriend, wife, daughter, sister or best friend is sure to love this ring because it shows how much thought you put into their gift by customizing it with their initials. 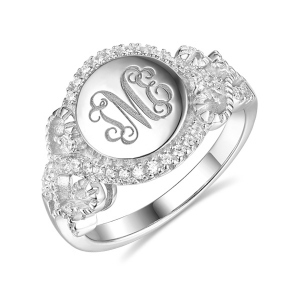 Whether it is her birthday, graduation, your anniversary, Christmas or any other holiday or special occasion, this will surely be the most personal gift she receives!